When: Friday, October 20, 5:30 – 7:30 p.m. Contact: 910-842-6488 for more information. 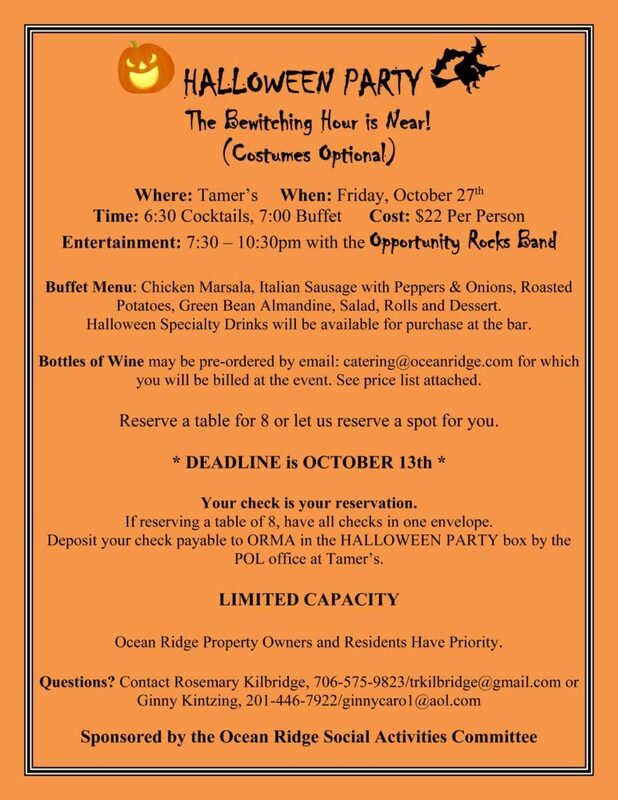 Join the Halloween festivities at the Holden Beach Pavilion. This free event features booths with carnival games for children sponsored by local businesses, organizations, and residents. 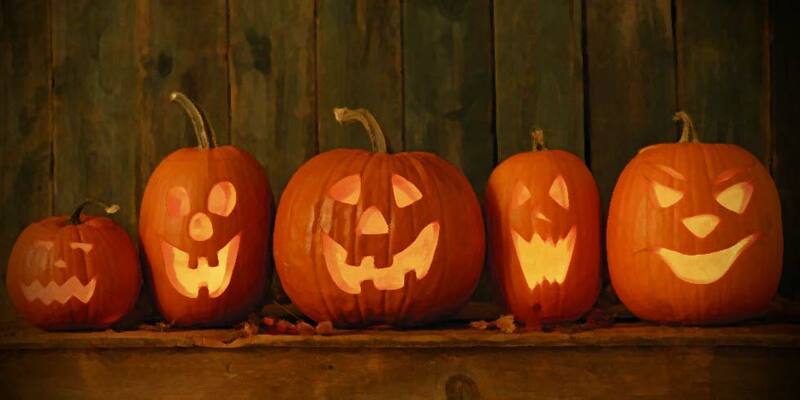 And don’t forget to dress in your Halloween best for a costume contest at 6:30 p.m. The Best Booth Winner will be announced at 7:30. When designing your new Ocean Ridge home, it’s wise to give consideration to potential outdoor living spaces. 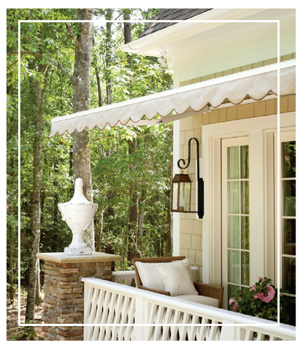 These can vary from a patio, deck, covered porch, screened porch, a three-season room, or a combination of several different outdoor areas. To help decide what areas are appropriate and desirable for your family, think about how you will live in these spaces. Will you be entertaining and cooking in them? How often will you enjoy them? Should they be covered, screened, or open? There are different levels that your outdoor living areas may be located: On the ground, raised to first floor height or even on a second or third level. You will want to consider access to the outdoor living spaces from your home, do you want privacy, and all available scenic views, when determining the locations. Many of our homeowner clients spend a fair amount of time in their outdoor living areas, so spending time planning them is important. Please feel free to contact me at the Ocean Ridge Sales Center if I may assist you with a complimentary consultation on planning your ideal home. Come sample the lifestyle at Ocean Ridge Plantation by taking advantage of our specially-priced Coastal Getaway. Be our guest for three days and two nights and enjoy luxurious accommodations, lunch at the club, a round of championship golf and a private tour of our award-winning community. We look forward to seeing you in coastal Carolina soon! To plan your visit, contact us using any of the methods to the right or click here to use our contact form. We look forward to hearing from you and will respond as soon as possible. Reward Yourself. Come Home to Ocean Ridge. All Material © Ocean Ridge Plantation. No Federal agency has judged the merits or value of this property. Not a valid offering in any state where registration is required but not yet complete. This offering is not made in the State of New York nor made to residents or any persons or entity in the State of New York. All provisions of the master plan are subject to change, revision, or deletion by the Developer at its sole discretion, at any time, without notice. Conceptual community maps and all illustrations are artistic representations to be used for conceptual purposes only. Construction of amenities, Jaguar's Lair Golf Course and other facilities are not guaranteed. *Conditions apply for Coastal Getaway. Plus tax and subject to availability.